Warm, Deep and Smooth are only few words to describe GoldenGlue. 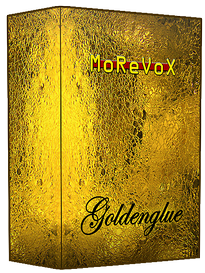 GoldenGlue has been created - through the custom MoReVoX IR development process - capturing real studio routings to multiple fx chains using mostly analog gear. Its unparalleled density allows to wrap the dry sounds and sit them easily in your mix with a supernatural creamy spaciousness.